The numbers do not indicate whether lives have been changed. However, they do paint a picture of how your prayers, donations, and acts of volunteering have been utilized. We all are stewards of our time and resources for the benefit of others that the Lord would bring into our churches and community. The staff and Board of Love INC are honored to be partnering up with this community to mobilize the church and its resources for Kingdom impact. 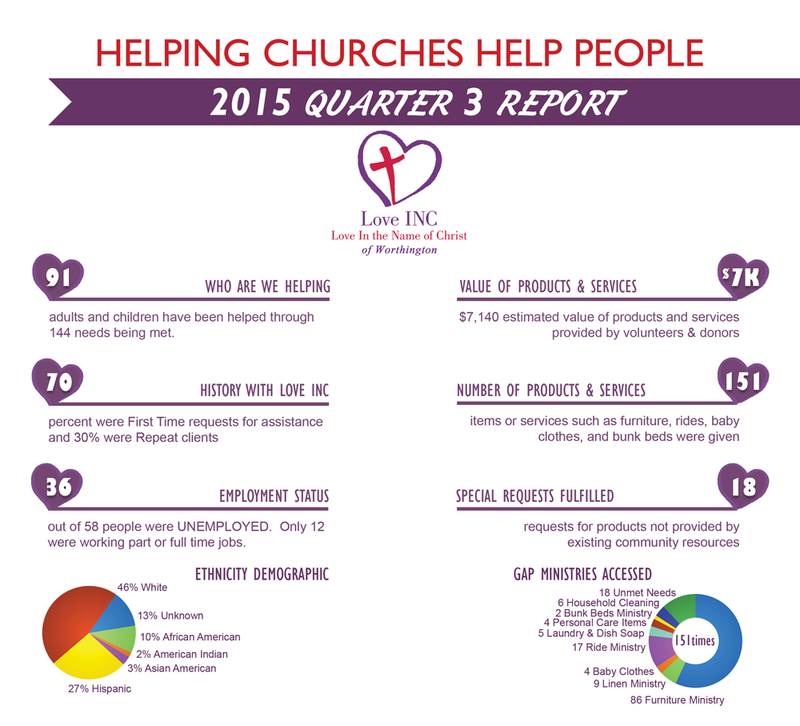 We hope this infographic of Quarter 3 (July - Sept.) helps you to grasp the scope of our collective efforts to help neighbors in need. If you would like to download Q3 Infographics, go here.